Apple’s iPhone is an outstanding smart device available in the market today. Its excellent hardware and operating system enable it to cater for numerous different types of applications. Whether it is entertaining app or business app, iPhone can accommodate any type of app and still deliver an excellent experience to users. Because of this excellent capability, iPhone users are constantly demanding new applications. iPhone is an excellent device responsible for changing the entire perspective of smartphone. With this superb device, users can perform numerous tasks with ease. As of now, Apple Inc. has sold more than 250 million iPhone devices. People love to own an iPhone because of the riveting experience it delivers. Getting an iPhone app developed to connect your business with a large number of iPhone users and earn some good revenue with it is not such a waste at all. Building an app for Apple’s iPhone is not easy, but for us, it is. Our experienced and qualified team of iPhone app developers in Sydney has extensive knowledge of iOS tools and technologies, allowing them to create outstanding apps that meet your every expectation. Whether it is a business app, entertaining app, social networking app, or any other type of app, we can build it. We will even help submit your app to the Apple’s App Store and get it approved. 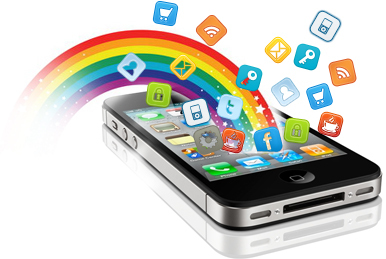 Contact us with your requirement and know how we can help with an outstanding iPhone app development solution.